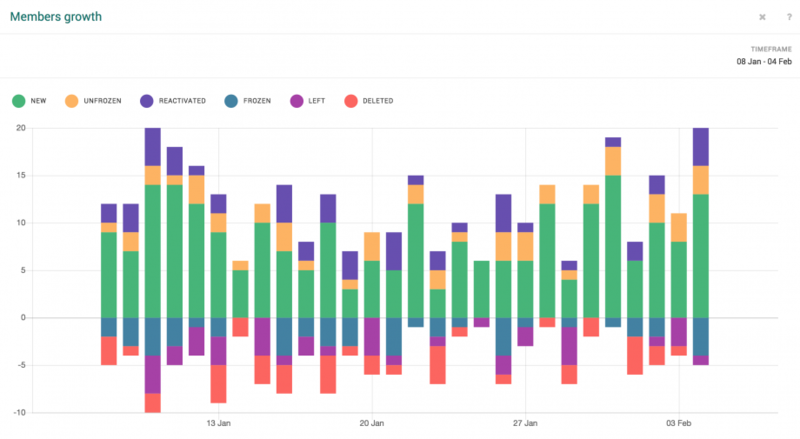 Our Insights dashboard offer a real-time solution for quantitative analysis on the platform. The graphs offer a quick visual analysis of members, their general platform activity, and their demographics. The graphs available are Members Online, Total Members, Member Segmentation, Average Time Online, and Demographics. These graphs are an instant indicator of platform health, can be segmented by user group and timeframe, and allow for fullscreen view to easily pinpoint data. 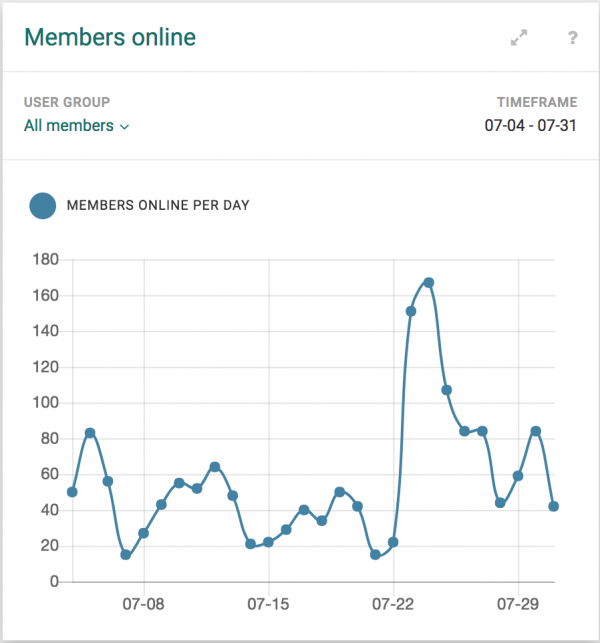 Shows how many members were online on a given day. Includes real-time count of members online, so great to see how many members respond to a new engagement campaign. Allows for filtering by user group and timeframe. Shows the total members on the platform for a given day. 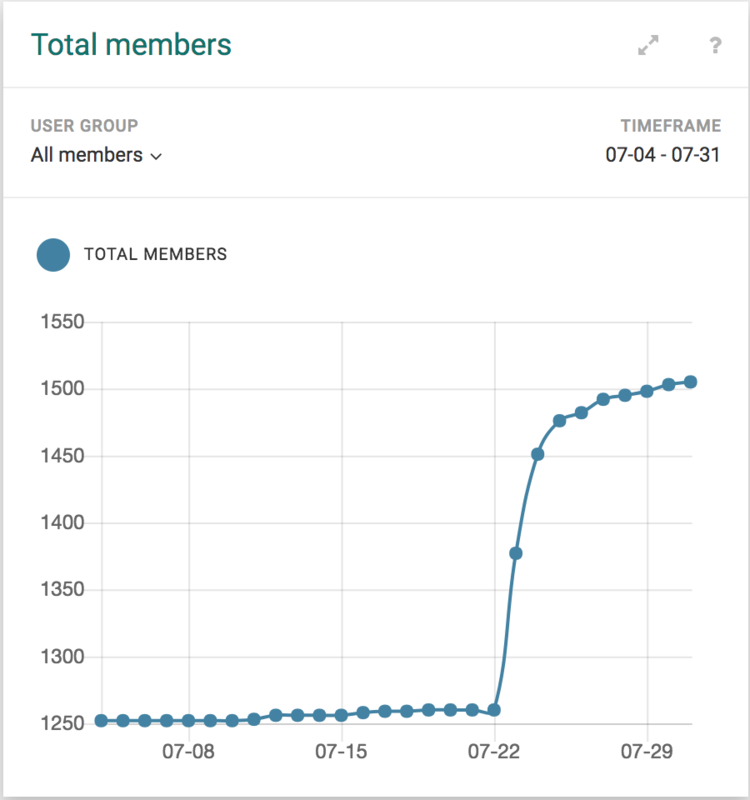 Includes real-time figures of new member sign-ups, so great to see how many members sign-up after a new batch of invites are sent. Allows for filtering by user group and timeframe. 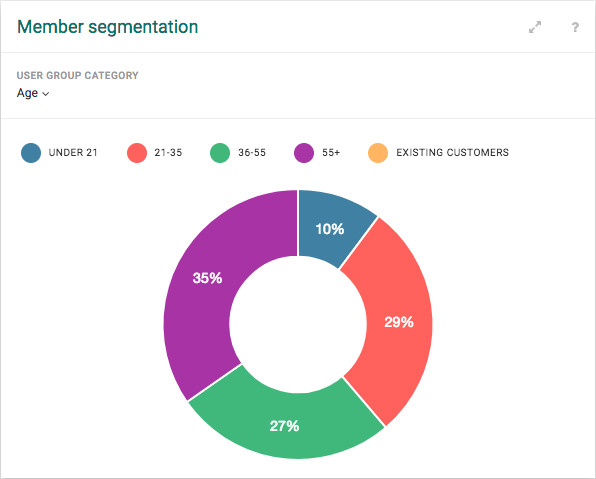 Shows the percentage of members of each user group within a user group category. Groups can be toggled to specifically target user groups and compare them. Only user group categories can be filtered. 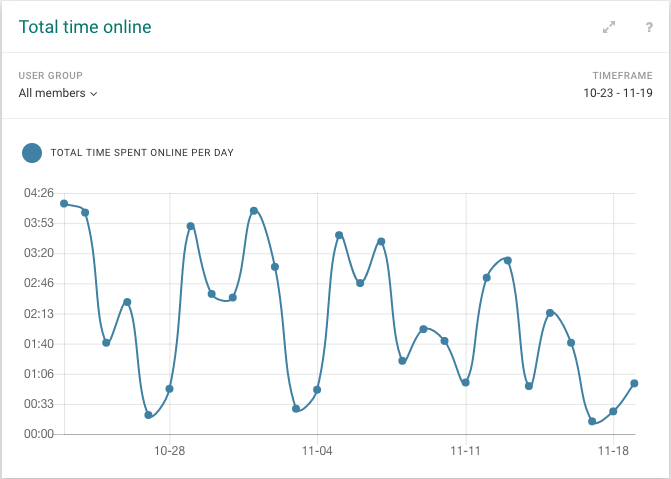 Shows the total time spent online by members each day. 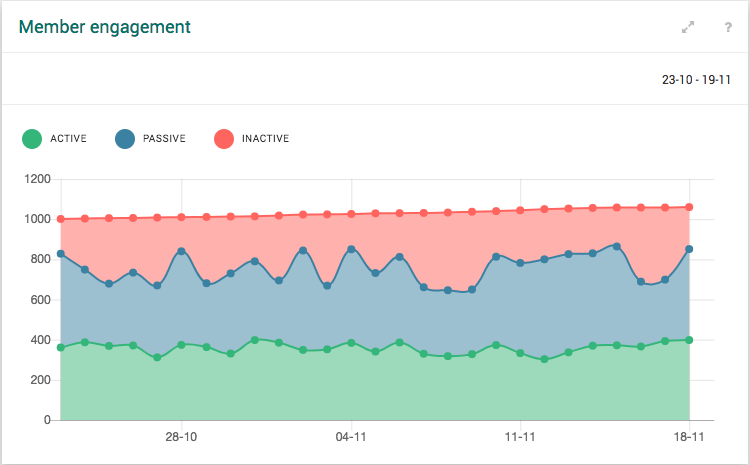 Includes real-time figures to see how long members are online after responding to a new engagement campaign. Allows for filtering by user group and timeframe. 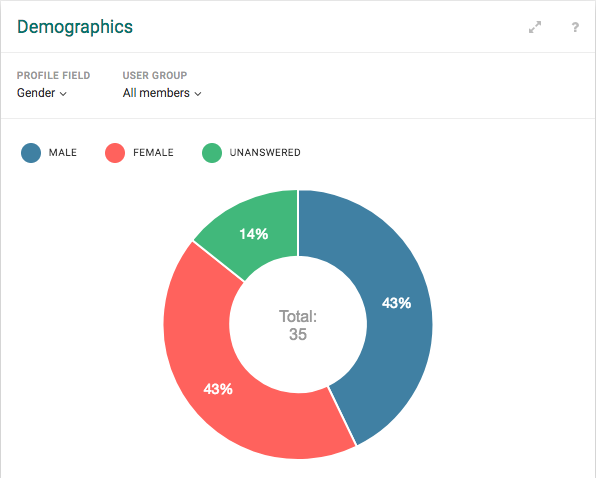 Shows the percentage of members with a given response to a profile field. Profile field answers can be toggled to see specific comparisons between members and groups. Allows for filtering by user group. Shows member growth per day. Allows for filtering by new, unfrozen, reactivated, frozen, left, deleted user status and by timeframe. Shows member engagement per day over time. Active members visited the platform and performed one or more actions. Passive members visited the platform without any actions performed. Inactive members did not visit the platform that day.